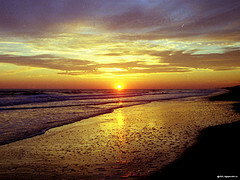 • It's Natural Beauty – When looking for a great vacation spot, you can't go wrong if you choose North Carolina. Wherever you decide to visit, whether it’s the mountains like Asheville or the beaches on the coast, or Chapel Hill, or any other town, you will be blown away by just how pretty it is here. • The Nice People – I don’t know about you, but I am so tired of mean, nasty people. What you will find in North Carolina are really friendly people that willing to help you and actually take the time to talk. • History -- If you like North Carolina history and want to learn more, you have come to the right place. Not only can you visit some awesome historical sites, but you can start a conversation with one of our residents and get a lesson as well! • Sporting Events – North Carolina folks are passionate about our UNC and Duke University basketball. But if that’s not your thing, check out NASCAR and all the fun that goes with it, but don’t forget about the other sporting activity we love, in a word… G-O-L-F.
• Outdoor Activities – If you are looking for some outdoor fun, you have chosen well. Any outdoor activities you enjoy, whether it’s boating, swimming, sailing, skiing, hiking or anything else you love, you can do it in North Carolina. • The Beautiful Beaches – You will find the best beaches anywhere! The white sand, the warm water, the amazing sites. It’s the perfect place to relax and enjoy the sunshine. • Scenic Drives –Between our many lighthouses, our coastal communities, the beautiful mountains, the small towns, and the scenic Blue Ridge Highway, you will enjoy your adventure here. Join in and write your own page! It's easy to do. How? Simply click here to return to Top US Websites And Information.